The question inevitably arises: why hire a coach? Because even if our kids are terrific writers who’ve mastered the craft of research papers and literary analysis, they’re often unfamiliar with the open-ended nature of the personal essay and inexperienced with the kind of self-reflection and insight these essays demand. How do I help? I put students at ease. 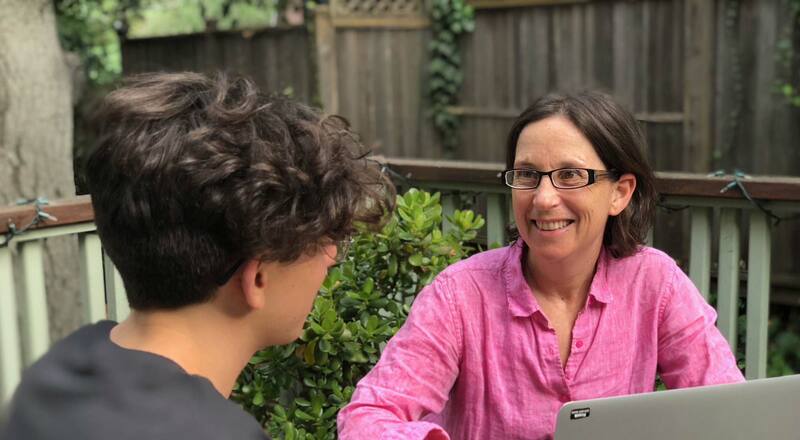 I bring to the table years of experience working with young adults and decades of professional experience writing creative narratives that have an impact. While studying at USC Film School and writing in the years since, I’ve learned how to tell a story, explore a theme, reveal character, build suspense, infuse humor, plant ideas and pay them off, and reveal change…all as simply and dynamically as possible.